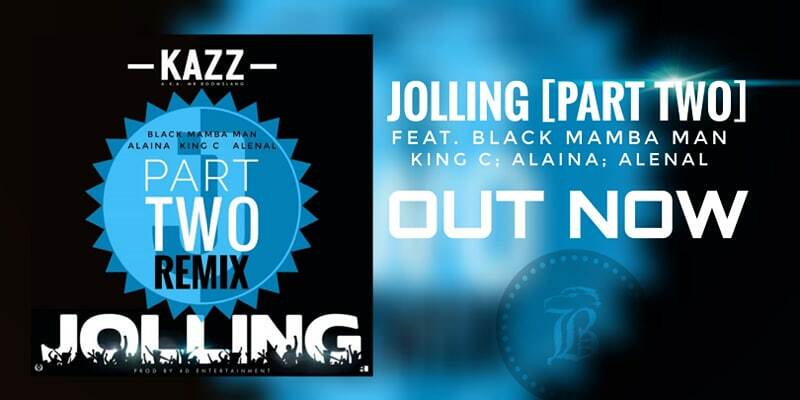 Kazz is back but this time he has brought a very cool line up for part one of the remix to #Jolling. On the line is Black Mamba Man; King C; Alaina; and ALenAL. This one promises to make you laugh and brings back them good old days. Contact: teamboomslang@gmail.com for further enquiries. Written by Farhaan ‘Kazz’ Khan; Ross Mccusker, Shanice Alaina Pullen, Curtis Smith, Danny & Alistair Burton. Beat produced by 4D Entertainment. Executive Produced/Mixed/Engineered/ Music refixed & arranged by 4D Entertainment / BLX Studio.